NINA JAFFE is an award-winning author, folklorist and storyteller on the faculty of the Graduate School at Bank Street College of Education. Her acclaimed retellings of world folklore include: The Way Meat Loves Salt: A Cinderella tale from the Jewish Tradition and Patakín: World Tales of Drums and Drummers. Cited in Best Books for Children (HarperCollins) as “among the very best in the field” of authors who draw on folklore and oral traditions, Nina has represented the United States at the International Festival of Storytelling in the Canary Islands, Spain and is currently project director of FEAST: Folklore Education and Storytelling for Teachers -- a professional development project at the Graduate School. Recent publications include a Spanish-language edition of The Golden Flower: A Taino Myth from Puerto Rico (Arte Publico) and the inaugural DC Comics Wonder Woman books for young readers (Harper Collins). She lives in New York City with her husband and son. Greetings! Click on this link to hear a brief audio introduction -- in English, Spanish and Hebrew! 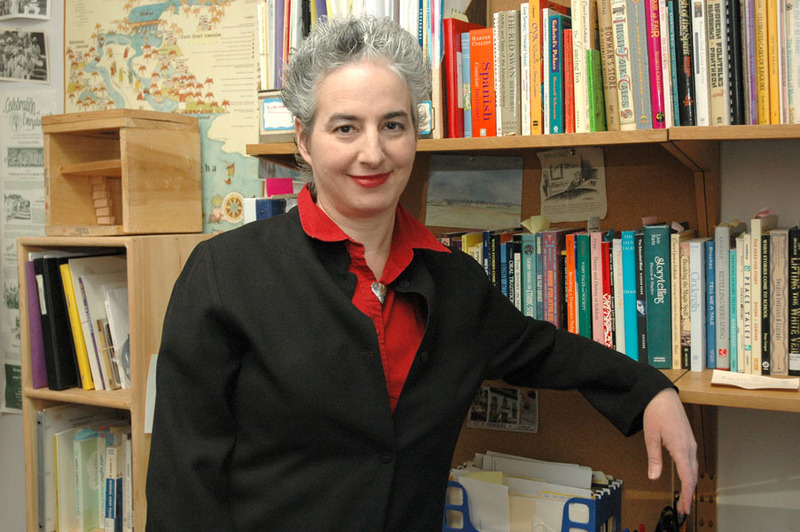 Nina Jaffe es una autora galardonada, folklorista y narrador que es miembro de la facultad de posgrada de Bank Street College of Education. Entre sus obras aclamados de folklor se encuentran: La flor de oro: Un mito taíno de Puerto Rico (con ilustraciones de Enrique O. Sanchéz) y Patakín: World Tales of Drums and Drummers. Ha representado a los Estados Unidos en El Festival Internacional de Cuentos en Tenerife, España y vive en la ciudad de Nueva York con su familia.